Yes, I know. It’s November and we should be drinking hot chocolate or apple cider. The temperatures outside make warmer drinks more desirable. The Sierras got a little snow this week. We got rain at the house – in the desert, we generally don’t complain about getting moisture in any form. I didn’t find the eagles this week, hence the lemonade. When I don’t find the subjects I’m looking for (bears, eagles, etc. ), I take the subjects I am given. This week, I found 4 Coyotes and numerous Hawks on the hunt. Here’s an image of one of the Coyotes about to strike! I got close to several Hawks and made wonderful images. Here’s a sample, with a few more on the birds page. This Hawk sat on this fence post long enough for me to make multiple images. Then he took off and moved to another post, allowing me to make a few more sitting and flying. 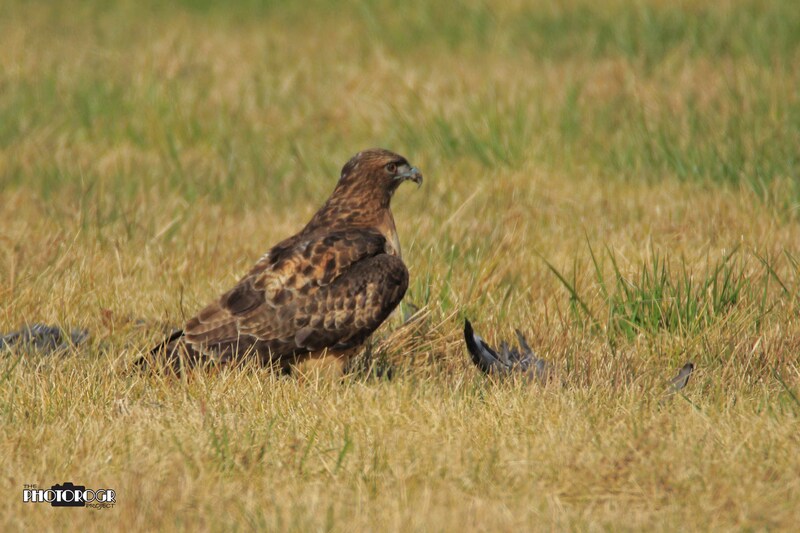 I saw two hawks in a field. As I got out of the Expedition, one flew away. If you look at the ground in front of this Hawk, you can see feathers. Go to the Birds page to see what happens next. I was driving through Carson City yesterday. Traffic stopped on Carson Street, right in front of the State Capitol Building, for a special tour group crossing the street and entering the Capitol grounds. What a sight! All things considered, it was a great week of shooting. For those of you in the area, the Carson Valley Art Association is having their Annual Scholarship Benefit Art Show at the CVIC Hall in Minden this weekend (November 7-9, 2014). I am entering three photos. Stop in and support the Art Association! ← A BIG Thank You to all of you! I really like the hawk on the fence line with the shallow depth of field. It turned out nice, good work! 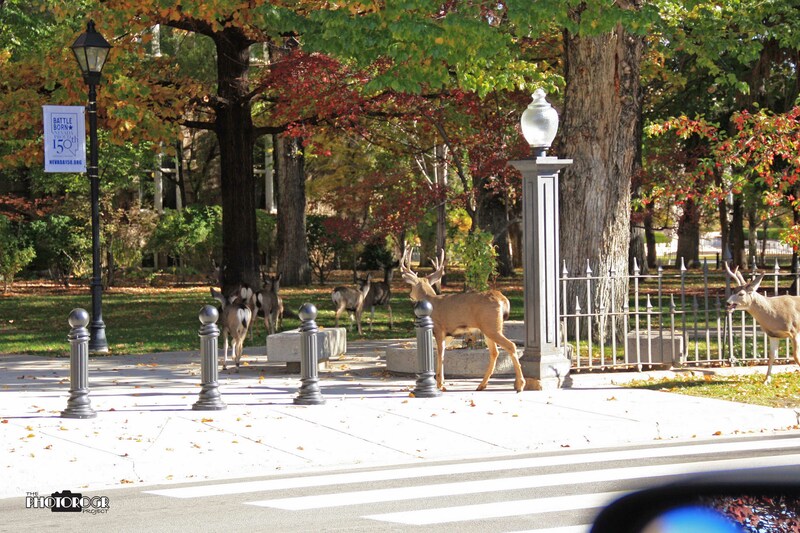 I personally would crop the mirror out of the photo of the deer in front of the Capitol. What a shot! Thanks Donna! On the deer shot, there were a couple of factors at work in the editing. I chose a photo ratio that mimicked the original, and I wanted to maintain the gate and the NV150 sign in the background. There is so little of the mirror showing that I didn’t think it was a distraction, and it gives a little context to the shot. I literally grabbed a camera and made the image. Cars were in line behind me so I didn’t loiter and block traffic. Love your awesome new pictures, especially the running coyote Fantastic job Roger!!!! Thanks Connie. He was right at the limits of my lens, but I got the shot. I also got the landing, but chose to show the launch!